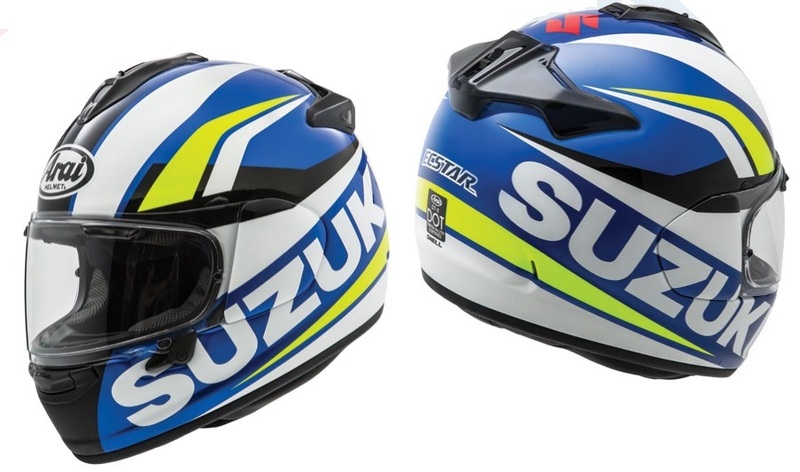 The Arai DT-X (DownTown-X) is a great entry-level helmet featuring many of the details and features seen on upper models; it can easily hold its own against the Signet-X & Quantum-X. Sharing the same Intermediate Oval (I/O) interior shape as the Corsair-X, the DT-X also boasts features like the PB-cLc (Peripheral Belt - complex Laminate construction) shell, VAS shield system, Anti-Microbial interior liner material and 10 ventilation ports (comparable to both the Signet-X & Quantum-X) with the new top Dual-Flow vent design for improves intake and exhaust effectiveness regardless of head position. *Prices and specifications subject to change without notice. All helmets sales are final sales. Helmets are safety items and cannot be resold. No returns. SHIELDS REPLACEMENT GSXR "EXTREME APEX AND TEAM SUZUKI"